Did you know that lard is mostly monounsaturated? 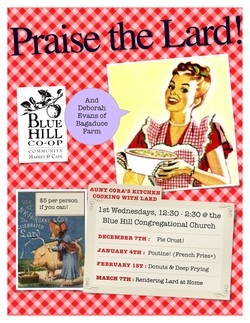 Let's work together to encourage farmers to keep pigs on pasture and to sell organic lard...so we can cook/bake with it. A network to help you find organic and/or sustainable lard in America and to cook and back with it. There is no better shortening than lard to make the crust for an apple pie, biscuits or many traditional cookies.